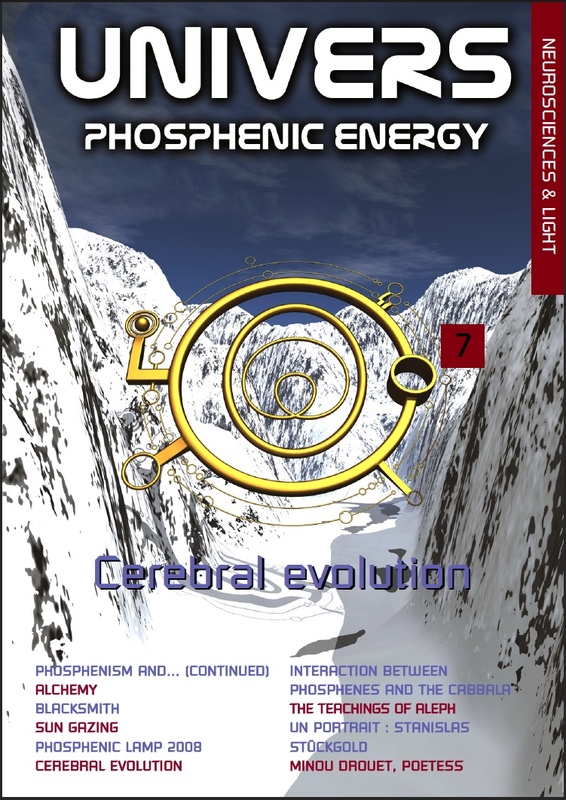 This new magazine : “Phosphenic Energy Universe” is the continuation of the “Phosphenic Link”, which was first published in august 1992.
the enthusiasts throughout the world who enjoy wonderful experiences thanks to the works of Doctor Lefebure. 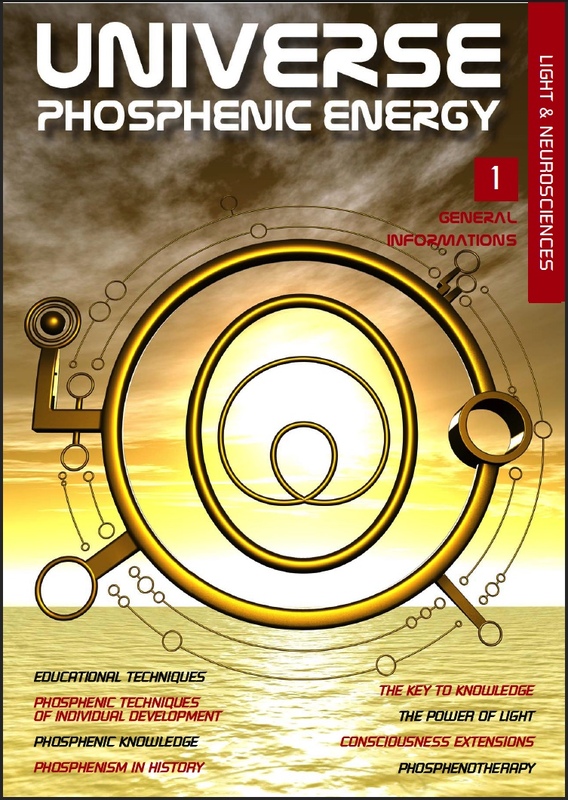 Its purpose was to introduce different aspects of phosphenism by publishing unreleased texts, documents, articles on theory, technical files, training programs and practical advice. 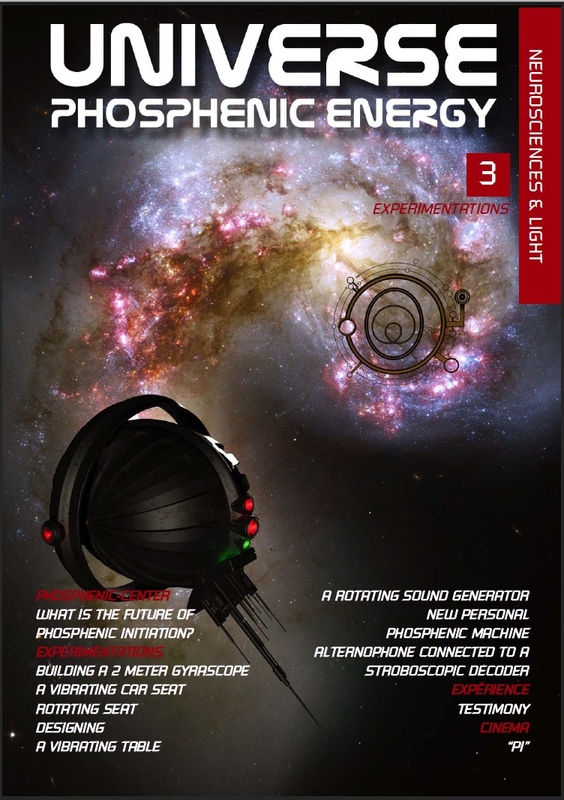 The “Phosphenic Energy Universe” magazine deals with the favorite themes of the readers of the “Phosphenic Link”, but in a more popularizing manner in order to introduce the work of Dr LEFEBURE and its vast possibilities of application to new and advanced students alike. At the end of the day, who else but Internet can take on the heavy burden of WORLDWIDE diffusion ? Doctor LEFEBURE’s work is characterized by being based on experimentation. Since 1945, year upon year of experimentation led to the creation of the prototypes of his machines. In his laboratory in Gretz-Armainvillier (France), Dr LEFEBURE used to manufacture the commercial model of the Alternophone by himself. After a while, ha had them made by a French company. Dr LEFEBURE has always been very collaborative with the people interested in his work, treating them as partners and paying much attention to their observations. Such observations have often led to the discovery of new phosphenic phenomena. Today, thanks to the explanation given by Dr LEFEBURE in his books, practitioners, through personal involvement, contribute to the growth of phosphenic research. 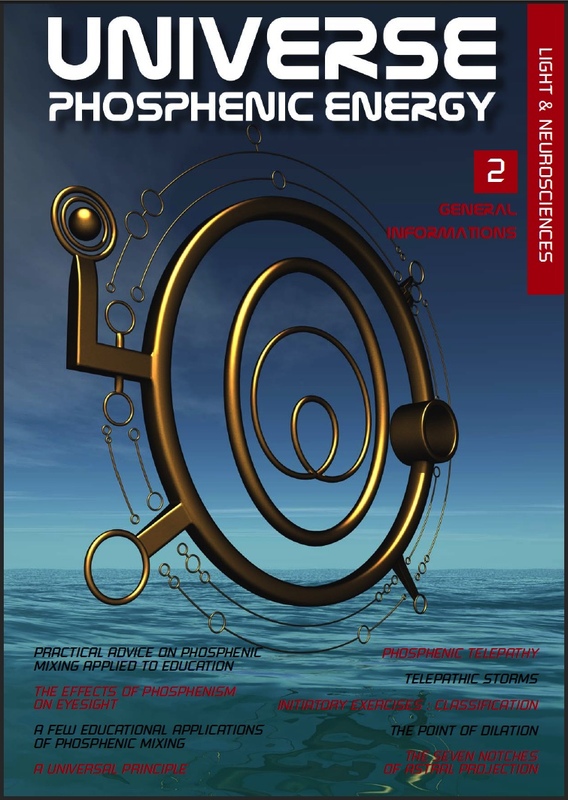 Such research has led to the emergence of new machines: the Rotating Seat, the Cerebral Synchro-Cyclotron, the Gyrascope and more. United though solitary, phosphenists make a geographically spread entity. Most of them have never met, and may never meet. That’s the reason why I looked for different ways of creating links between phosphenists, for them to exchange their experiences, discoveries and passion for Phosphenism. Light, the origin of knowledge, is the key to a fascinating inner experience. 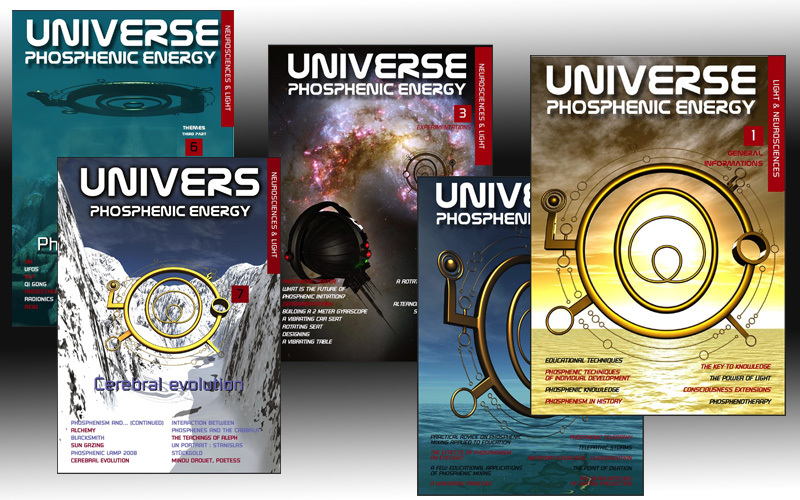 Special Issues #4, #5 #6 of Phosphenic Energy Universe consists of pages that were created to optimize the referencing of our website phosphenism.com, in order to achieve the best search engine ranking on Google. 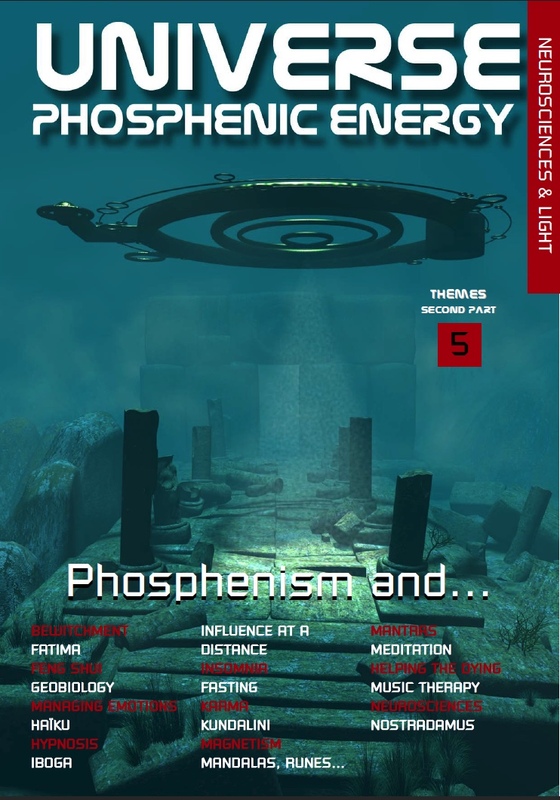 But these pages generated so much interest that we decided to enrich them and to deliver them in these special issues of Phosphenic Energy Universe. 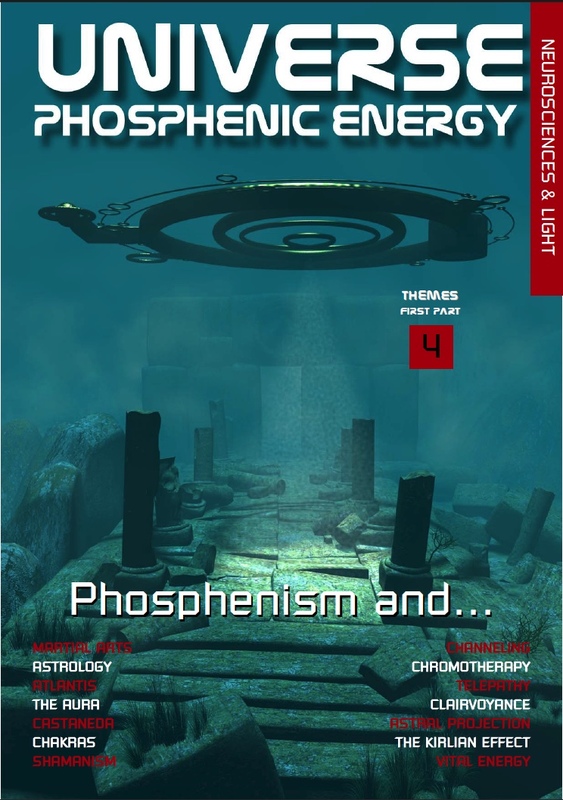 Even in this shortened version, they will comment the links between Phosphenism and many different topics and they will surely be an eye-opener for Phosphenists. These thematic pages do not aim to cover these topics thoroughly and we invite you to help improving them as well as adding new, interesting themes. Please, feel free to contact us with any suggestion or to send us your articles. Even in this shortened version, they will comment the links between Phosphenism and many different topics and they will surely be eye-opening for Phosphenists. What is the future for our brain? Imagine what would happen if Phosphenism, which permitted a race of monkeys to evolve into men, were practiced intensively over several generations with a motivation equal to that shown by our ancestors, guardians of the fire.